Hi I’m Alex and welcome to crosstrainer-reviews.co.uk the unbiased elliptical cross trainer review site. Here you will find independent reviews of the top cross trainer brands & models, from Reebok Fitness, Vision Fitness, Life Fitness, NordicTrack, Kettler, Horizon Fitness and many many more. I used to work as a service engineer for a major sports company, so I know a lot about the mechanics of cross trainers, treadmills, rowing machines and other types of fitness equipment. I created this website due to the popularity of my treadmill reviews site. The Synchro Forma Elliptical has been adapted for the home, based on the club models. The first thing I noticed about the Synchro was its presence. 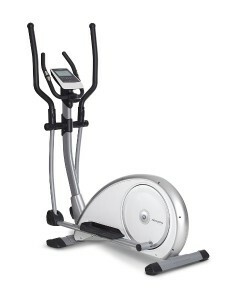 It looks really solid and sleek, just like the commercial elliptical I’m familiar with. Using the machine, it felt incredibly stable and as strong as the one I use in the gym, very unlike some of the other cheaper models I’ve tried. For me, a decent console is so important, and the Synchro’s is really easy to use. Navigation is simple and gave me all the information that I want to see in separate windows, such as my speed, distance and calories burned. Personally, I can’t stand it when I am trying to keep a steady speed and the screen changes. The Synchro doesn’t do that. It’s a shame that there aren’t quick level keys as I find those useful, especially for when doing intervals, but the resistance does change pretty quickly with handy resistance buttons in the handlebars. The iPad holder on it is great and holds your iPad really tight. I’ve been on the Synchro many times now and I haven’t been worried yet that it will fall off, no matter how hard I’m pushing myself. The Training Link feature is also a big plus on the Synchro. This allows you to track your progress more effectively and brings you engaging workout options via the Training App. It was easy to get started – I simply connected my iPad via Bluetooth and I could upload all my results to my online account. The Training App also lets you listen to music and watch videos. Plus, as it allows multiple accounts, my wife could set up her separate training diary too. The Synchro is a great machine, and the only thing that might pose a problem is the price, which is quite steep for a home elliptical. However, that said, the Synchro is very high level and does deliver what it promises. The Synchro Forma is a great bit a kit and worth the money. I would recommend getting the Training Link when you buy it, as it does cost more to add it on. If you want your home kit to feel just like the machines in the gym, then this is a great elliptical to invest in. 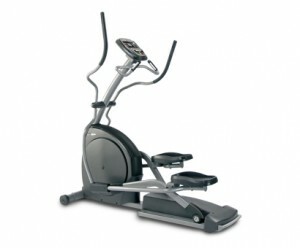 Buy Technogym Synchro Forma Elliptical at FItness Superstore. They have some great finance options too, including 0% interest. The Horizon Syros is from the low end of the price scale in the Horizon elliptical range and is a very good choice if you’re looking for a crosstrainer for the home on a budget. 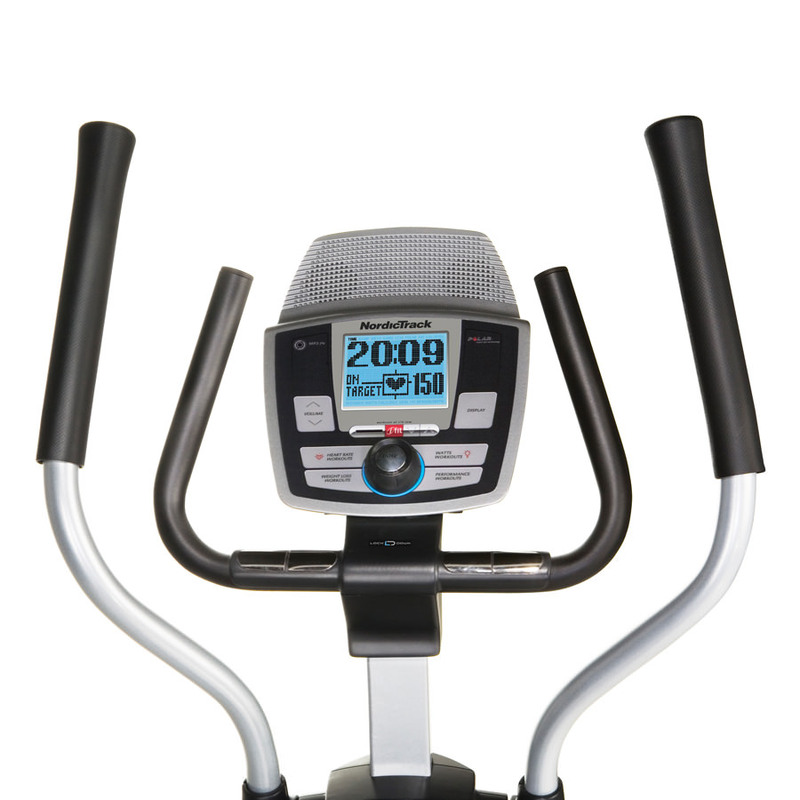 Very user friendly, compact and a good build for the money, it’s great for using in the home and is one of the better ellipticals on the market in this price range. This is a compact machine, measuring just 145cm long by 60cm wide, which will certainly help if you want to save on space. It’s also fairly light – under 50kg – so it’s relatively easy to move it around. However, although it is light, it still feels pretty solid and is more than capable of taking its recommended user capacity of 136kg. One thing to mention though is that, being a compact elliptical, it does mean there’s a shorter stride length, which may feel slightly inhibitive to the taller user. Overall, I found the Syros to be a pretty smooth ride with a 7kg flywheel. As already mentioned, it does have a slightly shorter stride length than is recommended, but I found its 16” adequate, though slightly uncomfortable when moving more swiftly, so far better for low-impact workouts. If you’re not looking to go too fast and are more into resistance, it offers 16 resistance levels, which provides a challenge for all users, whatever your ability. I’ve tried a few manual resistance crosstrainers and they definitely weren’t as smooth as this. 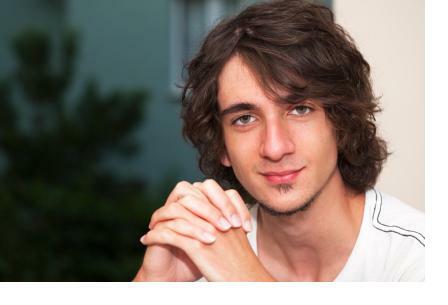 If you’re a taller user though, you may want to look for a longer stride length to provide greater comfort. The oversized foot pads are a nice touch, providing you with more space to find the most comfortable position for you. An elliptical at the budget end of the price scale, I wouldn’t expect the Horizon Syros to offer a massive array of innovation. However, I was impressed with its offering. With 9 programmes, you are able to vary your routine and it comes with really good, customisable display information including calories, body fat and pulse to name just three. It also includes heart rate training, which is a nice extra as crosstrainers at this price usually come with monitoring only. This trainer comes with good warranty – 3 years parts and labour, which is a good selling point. This is an ideal elliptical for low-impact use at home for the everyday fitness fanatic. So, if you’re looking for a machine that’s easy to use, not too technical and is affordable, this one comes highly recommended. I would just suggest taller users try before buying as the 16” stride length may be slightly inhibitive. If gadgets are more your thing though, you may want to look at NordicTracks, renowned for their innovation. 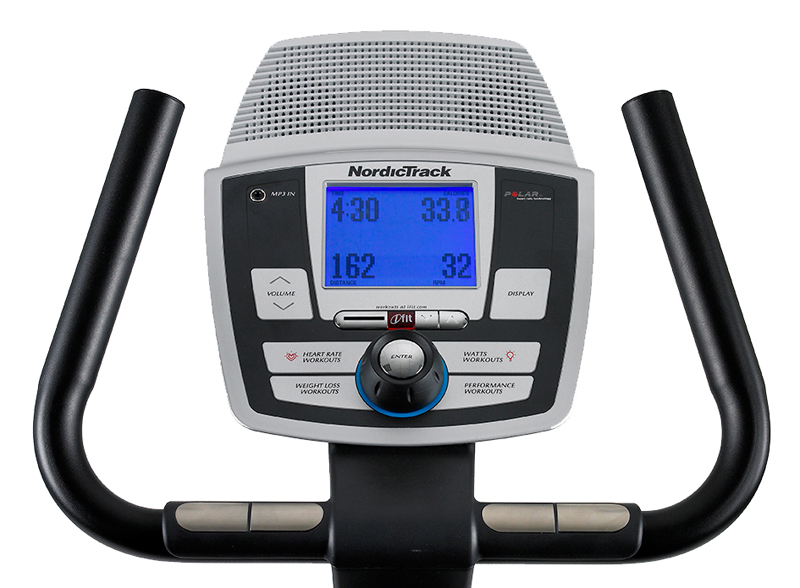 Renowned for innovation, Nordic Track fitness equipment always has much to offer on the features front, and the E4.2 elliptical is no different. With a total of 20 challenging resistance levels and iFit SD card compatibility, it’s great for those who want some variety in their workout. The focus on innovation doesn’t compromise the overall quality though as it’s a solid elliptical offering a very smooth workout. This crosstrainer is packed with plenty of ways to bring diversity to your training. In total, there are 23 workouts – not many offer that much variety – and they all have their benefits, depending on your goals. There are 12 personal trainer programmes, which are great if you need that extra pressure in your ear to get you moving! A great alternative to a real PT in a gym. There’s also a heart rate control option and lots more. What I really liked was all the feedback for your workout clearly displayed on the console. 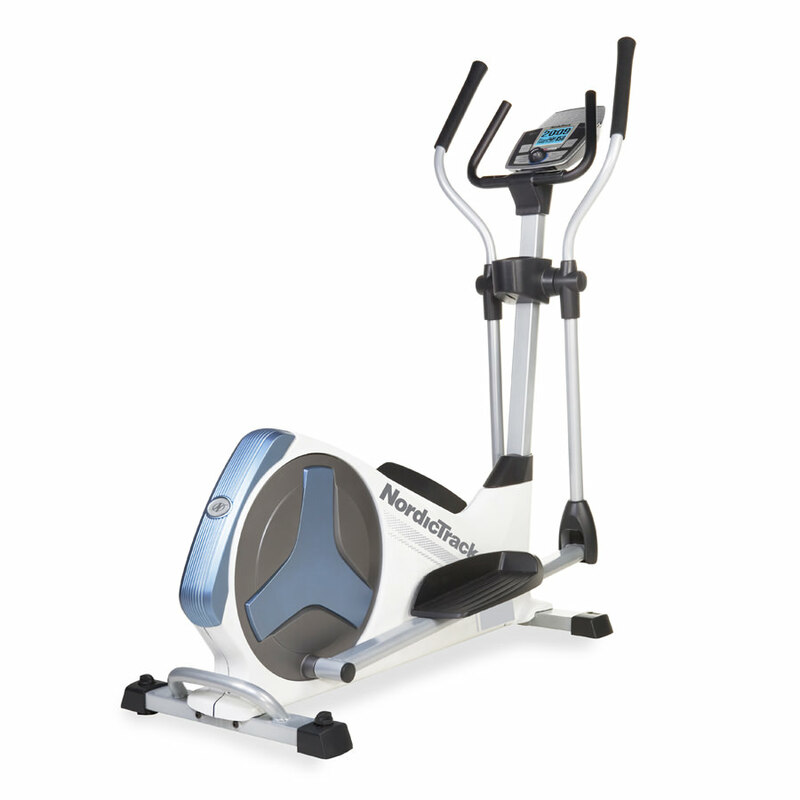 Another key selling point for this elliptical is its iFit SD compatibility. You can buy different iFit SD cards for under £20, all offering different workouts, such as weight loss, wellness, etc. I tried out iFit Circuit Training Level 1. It includes 24 elliptical workouts, which I think is great value for money. You may also be interested to know that it also includes 24 treadmill and exercise bike workouts too, so you could use on the NordicTrack GX3.2 Upright Cycle, for example. Listening to the certified personal trainer, I was talked through my workout from start to end. I also really liked the fact this has a music port so I could listen to my iPod. This was really handy, meaning I didn’t have to bring my docking station into my home gym. Overall, I was very happy with the workout experience offered by this crosstrainer. 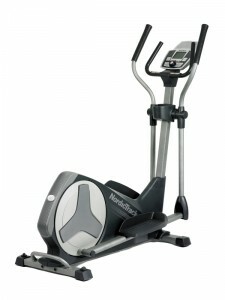 Although many advise that a 20 inch stride is preferable, this elliptical offers 17 inches, which I found very comfortable. At just under 6 feet tall, I’ve always found this stride length to be more than adequate so would only advise you to perhaps look for longer if you’re of exceptional height. A good idea is always to try before you buy though! I found the machine offered a really smooth action too, making this very comfortable indeed. Compared to others in this price range, it was definitely superior, so I think you’d be hard pushed to find smoother. For the space conscious, this elliptical comes in at a very reasonable 133cm length and although not foldable, can be moved pretty easily with the transport wheels. A pretty sturdy product weighing in at 66kg and will cope with users up to 150kg. If you’re trying to save space, there’s lots of great space saving fitness equipment on the market, such as folding treadmills, but one thing I would recommend is to not go for a really compact crosstrainer. Even though it helps to save space, I think it’s best to make an exception with ellipticals, otherwise you do lose out on comfort. This elliptical is an average size. I have tried out smaller, but noticed the difference as the stride length just wasn’t long enough. As said above though, do try before you buy as shorter individuals may not agree! The E4.2 was the largest I could find that fits nicely in my home gym – not taking up too much space but also not compromising on user experience. In summary then, the E4.2 gives you a lot for your money. It has the comfort as well as the innovation to make your workouts far more enjoyable and is one of the best you’ll get at this price range. The E7.2 is the latest offering from Nordic Track’s front drive elliptical family. As is usually the case with most products from the Nordic range this elliptical is packed with features. 18 inches is the standard stride length, which is adjustable to a maximum of 20 inches via the manually operated incline ramp. The incline ramp has 5 setting positions to a maximum of 20 degrees, enabling users to vary the stride path and work a different set of muscles adding real variety to the type of workouts available. As a front drive model, the pedal spacing is nice and close providing a natural and comfortable riding position for the majority of user heights. The only slight quibble is that the stride pattern has been designed to cater for both a flat and an incline position so when the incline is not raised there is more of a vertical bounce than you will find on the comparable models in this class like the Kettler Elyx 1 or the Vision X1500 although neither of those models can hold a candle to the E7.2 when it comes to console features. A 9kg flywheel provides challenging amounts of smooth resistance with 20 digitally controlled levels available. The console has a well lit blue LCD Grafixx display with feedback and program profiles easily identified. 20 onboard programs provide 10 calorie target based options and 10 performance workouts both of which vary greatly depending on your fitness levels. There is the now obligatory mp3 audio set up with acoustic 2.0 speakers provided and for those who want even more facilities you can purchase the optional iFit live module to compete online and use the innovative Google maps application to plot scenic routes anywhere in the world. There is an optional polar heart rate kit available for those requiring complete accuracy otherwise there are standard EKG hand pulse sensors on the static handles. For the space conscious, this elliptical comes in at a very reasonable 175cm length and although not foldable, can be moved pretty easily with the aid of the rear handle and transport wheels. A pretty sturdy product weighing in at 90kg will cope with users up to 150kg maximum and with a 5 year warranty on the frame and 2 years parts and labour on everything else there is no doubting the value for money on offer with this cross trainer. Front drive flywheel gives natural biomechanics. Not quite the level of build quality you would find on the alternative models in this class. Not the most compact of models. In summary then, the 7.2 offers real value for money. Of all the ellipticals tested, Nordic track always seem to give the most specification and whilst the overall build quality isn’t the greatest, it is a struggle to think of a better crosstrainer at under £500. 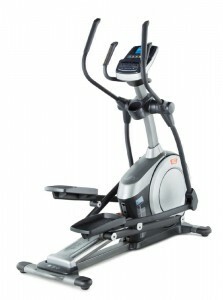 The Q35C elliptical from Octane is their entry level cross trainer. Don’t be fooled however, into thinking that this is an entry level product. 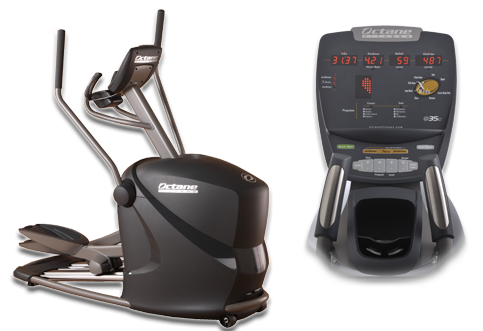 Octane Fitness are one of the world’s premier manufacturers of ellipticals. One of the reasons they are so good at what they do is because it is the only type of fitness product they make. The stride pattern and shape of movement on their machines is unlike any other. This is because they have focused their attentions on making the workout as natural as possible by mapping to the body’s natural biomechanics. This enables users to concentrate more on putting effort into resistance levels rather than having to overcome the more usual bouncing stride of most other cross trainers. The movement is flatter and far more like a running motion which virtually eliminates any heel lift resulting in more leg muscles being used therefore creating a much more efficient workout. The stride length is 20.5 inches and the pedals are spaced at less than 2 inches which will suit almost everyone, with only very tall users over 193cm perhaps finding it a little on the short side. Despite the not inconsiderable stride length this elliptical does not have a large foot print. At just 66cm wide by 166cm long the Q35c would be considered compact in comparison to the alternatives at this price point in the market and this is due to Octane’s patented Quadlink drive mechanism. The upper body moving arms are also well positioned to allow maximum engagement of the core muscles and ensure users retain good posture when working out. The console is well laid out and easy to read with all the essential workout feedback displayed. Program wise there are 10 preset options providing variety and challenge for all levels of fitness. There is also the X-mode option which has timed random exercise prompts to break up the monotony of a workout and ensure you are pushing yourself. GluteKicker and Arm Blaster are two other program variants unique to Octane to focus on upper or lower body accordingly. Hear rate monitoring is available via the contact grips on the static handles although use of a telemetric wireless strap is excluded as the console has no polar chip. This is a surprising omission on a product at this level and value however this feature is included on the higher spec Q37ci model. The whole machine feels substantial and is backed by a 5 year parts and 2 year labour warranty. Console a little basic considering the price. In summary then, if you are looking for a cross trainer with the best ergonomics and the most natural movement the Q35C is better than any other cross trainer out there for this sort of money. The lack of console features won’t put everyone off as there are enough options for the majority. Its compact size and bombproof build quality will also appeal to many although the premium price may not as much. 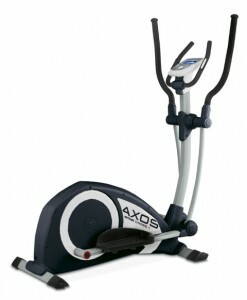 The Cross P is part of the Axos budget range of fitness products from Kettler. There is a cycle and a rower to complete the trio. Usually synonymous with quality German engineering, Kettler’s new Axos range is manufactured in the Far East to keep costs down so what can we expect? 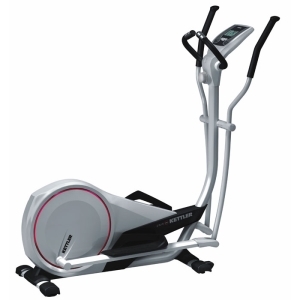 Firstly, this is a compact machine, measuring just 150cm long by 68cm wide which will suit the space conscious consumer but, like the majority of compact ellipticals, the stride length is compromised as a result. At 16 inches and supplied with a rear drive flywheel, the Axos has that traditional, slightly up and down, step like quality to the movement which may feel a little inhibitive for taller users. The footplates also seem to be quite far apart as they straddle a quite chunky looking casing which does cause your knees to invert towards the centre stem. Over a lengthy workout it is possible that this could become quite uncomfortable for shorter individuals at higher resistance levels. It isn’t the worst example I have seen and when compared to alternatives at this price like York’s X201, the Axos certainly feels a lot smoother. This is because unlike a lot of cheaper ellipticals, Kettler have incorporated a 14kg flywheel offering 16 levels of electronically controlled resistance. 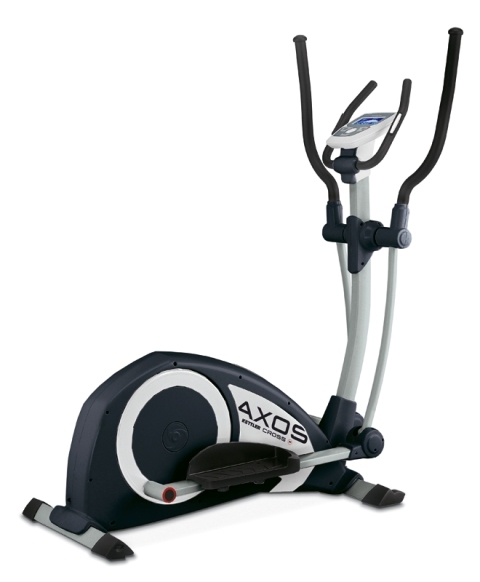 Typical flywheel weights on budget ellipticals are usually less than 10kg so the Axos has a lot more resistance available than most. There is a 130kg (20.4 stone) maximum user weight and the whole thing weighs 60kg so it feels stable to use. The console has a monochrome LCD display with a continuous display of feedback, including time, speed, distance, RPM, calories and heart rate. There are 12 workout programs including a heart rate control option with an audible alarm when maximum pulse rate is exceeded. There is nothing too spectacular but plenty of options available to maintain good variety and hand pulse grips on the static handlebars come as standard. So, although the Axos doesn’t compare in terms of engineering quality to the German made offerings from Kettler like the Unix P or Elyx series, you wouldn’t expect them to at this price and Kettler still have no qualms about offering their standard 3 year parts and labour warranty. Issues with foot plate spacing may cause discomfort for some. In summary then, at under £300 the Axos is better than the alternatives in terms of both resistance and build quality. The biomechanics won’t suit everyone and I would certainly recommend you try before you buy but this is certainly one to seriously consider for those on a budget. 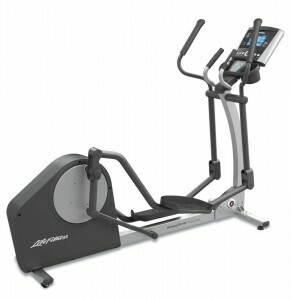 The E4000i Premier cross trainer is a top end cross trainer from the Horizon range. Designed as a front flywheel machine, it combines a pivoting footplate system which replicates the body’s natural foot movement to minimise stress on the joints. Also, because the flywheel is at the front, the pedal spacing is much closer together with just 1.2 inches between them which improves biomechanical alignment to allow users to concentrate on putting effort into the workout without causing the knees to invert which can sometimes be the case with some rear drive elliptical models. The stride length ranges from 20 – 22 inches when the incline setting is increased to maximum. This position extends the range of movement to provide an additional workout for more muscle groups. Effectively, the glutes, hamstrings and thighs are all forced to engage more than on a traditional elliptical which may prove popular for hill walker and skiers who tend to utilise these muscles more. The incline motor itself is controlled easily at the touch of a button either manually to a level of choice or via one of two different incline programs. 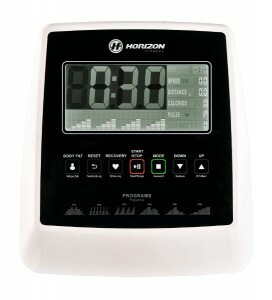 Six other programs include weight loss, interval and heart rate control with the option of 1 user defined program and the display is well lit and easy to read. There is a 10.5kg commercial grade flywheel which provides 20 levels of smooth continuous resistance via an ECB magnetic braking system. Because of the long stride and the front drive flywheel, the E4000i will suit pretty much anyone in terms of comfort, although the increased range of upper body movement to compensate for the incline may cause some shorter users to stretch excessively when using the incline at its maximum setting. You will need a fair amount of space to accommodate this machine too, as it stands at 175cm long and 65cm wide and cannot be folded for storage so it would look quite imposing in a smaller room. Anyone with restricted or reduced ceiling height will also need to be slightly wary as tall users may have concerns about headroom when the incline is on the maximum setting. A 136kg (21 stone) user weight makes this a substantial machine but then it does weigh in at 108kg and although there are transportation wheels it isn’t particularly portable. As is the case with Horizon products, build quality is very good and backed up with their 5 year parts and labour on site warranty with a lifetime frame and motor warranty to boot. No entertainment features on the console. 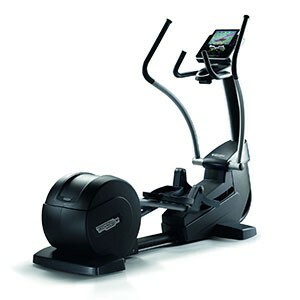 In summary then, if you are looking for an elliptical with extra variety of workouts or you want to work on specific muscle groups then the E4000i is a lot of elliptical for your money. It’s very well made but you will need a fair amount of space to accommodate it. The Life Fitness brand is well known throughout the world due to its prominence in gyms and health clubs. It can quite often be the only experience of a cross trainer that people have had. Life Fitness have a large range of both commercial and home use models, ranging from the X1 model reviewed here right up to the impressive club series integrity range. So, what can you expect from the X1? Firstly, as with previous models there are two console options, with the more basic GO and the more advanced TRACK. 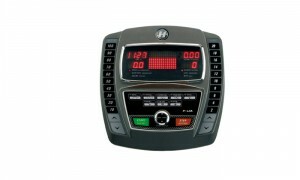 The track console incorporates iPOD/iphone compatibility with integrated controls to adjust the volume and make track changes. No speakers are included so headphones would still be required, however it does remove the need to fiddle with your ipod during your workout and it does seem that more and more manufacturers are starting to include this type of technology in their ranges. 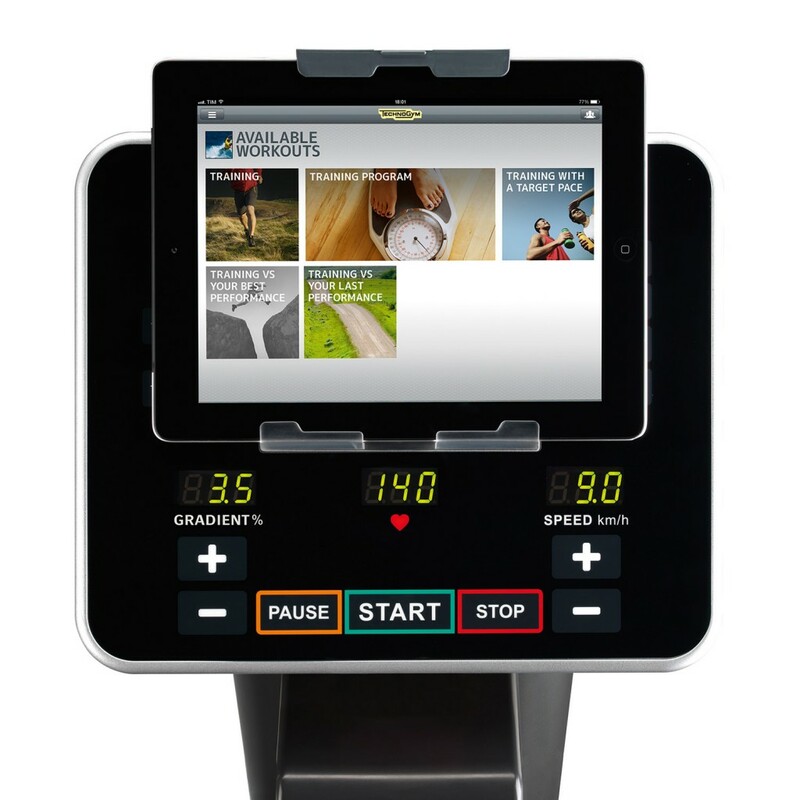 The track console also includes a virtual trainer facility which allows users to create workouts, track results and progress online and then connect to the console directly via USB or by using the rather innovative Life Fitness virtual trainer App. There are also a huge number of programs available from the console directly including heart rate control, interval training and goal base workouts. Up to 4 user profiles can be created and a wireless chest strap is included. Despite this sophistication it was still easy to navigate and felt quite intuitive to use. This is no small unit at just over 2 metres long (206cm L x 76cm W) and the stride length is substantial as a result. 20 inches should, broadly speaking cater for the majority of users quite comfortably with only exceptionally tall users (195cm and over) potentially finding the stride a bit short. The whisper stride technology that Life Fitness use means that operation is silent and smooth regardless of the resistance level. It feels solid and very well made and the maximum user weight of 158kg (29 stone) reflects this. The warranty is a very respectable onsite 3 years parts and labour, it has quite a contemporary style and is certainly on a par with other prestige brands like Octane Fitness or Precor Fitness in terms of features and specification. Good biomechanics and decent stride length. None really, although the price point means that the X1 will only be an option for those with a reasonable budget and space to match. 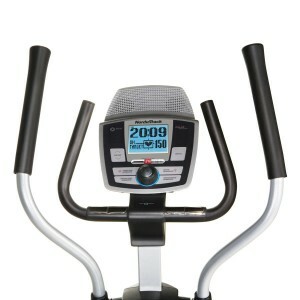 In summary then, a quality elliptical that looks and feels every bit a prestige piece of fitness equipment. Lots of programs included with a smooth comfortable ride, catering for users of all shapes and sizes. 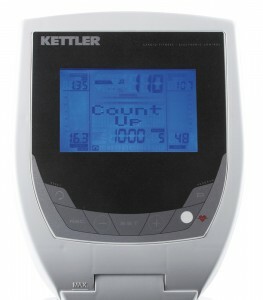 The Kettler Unix P is the latest edition to the Kettler compact elliptical range. Kettler have long been synonymous with great build quality which stems from German engineering resulting in very solid, reliable fitness products. The Unix P is a compact unit at just 144cm long and 56cm wide, with a fairly standard 16 inch stride pattern for a small elliptical. A 20kg flywheel with a magnetic, electronically controlled braking system offers huge levels of resistance but the stride still feels a bit short despite the smoothness of the movement. The maximum user weight capacity of 150kg (23.5 stone) is substantial for a small machine and the whole product feels very well engineered which isn’t surprising as it is made in Germany. The quality shows but it comes at a price, the Unix P is expensive when compared to alternative models available at the price point. 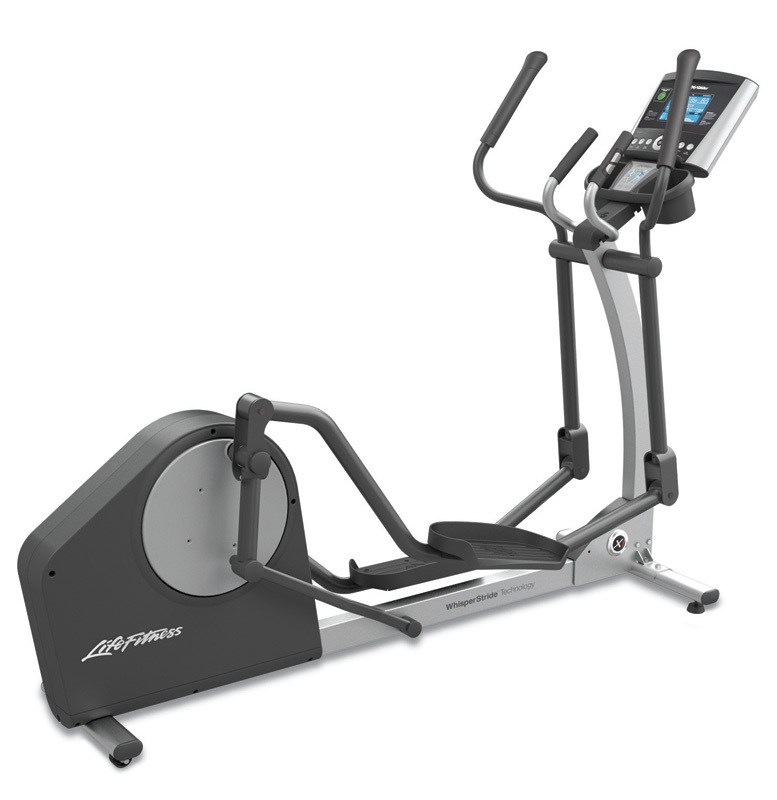 It’s well made and smooth to use but is ultimately a 16 inch stride compact cross trainer and there isn’t really anything new here when compared to previous models in the Kettler range. The console is LCD backlit which is an improvement on its predecessor, the Mondeo ST. All the usual feedback is displayed in addition to various programs with 10 preset options plus heart rate control. The inclusion of an audible alarm to warn when exceeding maximum heart rate is a nice touch, providing you don’t choose to exercise to loud music that is. 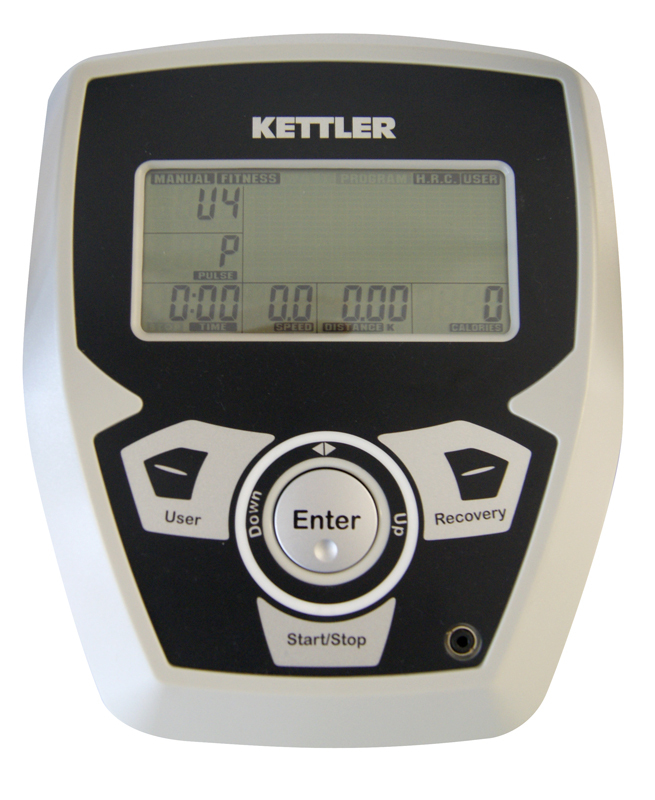 Kettler have also opted to include a Polar compatible chest belt receiver instead of previous models, which required the purchase of their own brand pulse set. A chest strap however is still optional. Brands like Horizon Fitness, Vision Fitness and Bremshey are all now offering 18 to 20 inch stride front drive ellipticals at this level price wise. Kettler have themselves recently introduced similar, longer stride pattern models with the Elyx 3,5 and 7. 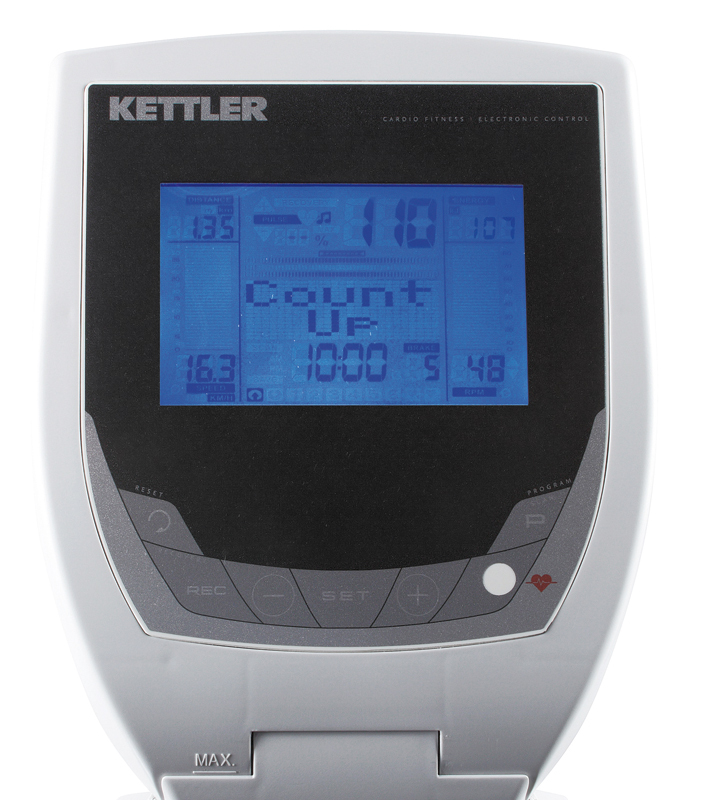 Of course, some people will love the reliability and solid branding you get from a Kettler product, backed up with a 3 year parts and labour onsite warranty but with a short stride and unchanged biomechanics, there are only going to be limited purchasers. In summary then, if you are willing to accept the limitations of the Unix P as a trade off against great build quality and reliability, have a limited space but a not so limited budget then this could be the right choice of cross trainer for you. For the most part, choosing a more compact cross trainer like the NordicTrack E9 ZL means compromising on the stride length. At 17 inches and with a rear drive flywheel system, this elliptical has a traditional, slightly cyclical feel to it. If your experience of using a cross trainer has been with a rear flywheel model in a gym or health club then this will certainly have a familiar feel to it. The balanced 22kg weighted flywheel and the silent magnetic resistance system has a class A certified ergometer rating. This really makes for a very smooth ride and with 25 levels of resistance, it would be a challenge for even the fittest of users to maintain a workout at the maximum level for extended periods. The footplates are large and cushioned for greater comfort. Taller users however, may find that the tendency for a rear drive flywheel to tip you forward towards the console, could put pressure on the lower back. The pedal spacing is also quite wide at 7 inches which causes the knees to invert slightly, resulting in a movement which increases hip rotation and creates a slight bouncing sensation. None of this is likely to concern individuals of average height as the stride and huge crank inertia will still give a workout which makes the E9 ZL one of the best performing compact elliptical trainers at the price point. The console is another area which performs well. 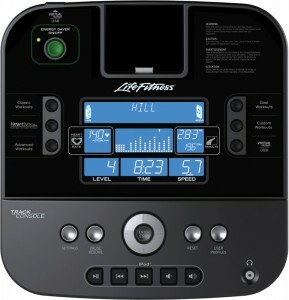 With 12 preset smart programs, 8 heart rate and 2 watt workouts combined with 25 levels of quick digital resistance. The large, blue backlit screen displays general feedback clearly and they have also included a 2 speaker input for an mp3 player. Heart rate pulse grips are supplied on the stationary handles and a polar chest pulse receiver built into the console with a wireless Polar T34 chest strap included for more accurate feedback. The piece de resistance however, is the iFit SD card option which enables users to purchase interactive workout programs which come in a variety of result specific categories including weight loss, wellness, performance and more. These programs control the pace of the workout and provide verbal prompting for those who need a little push when it comes to motivation. This is a pretty substantial machine weighing in at 68kg with a maximum user weight to match, (150kg or 23.5 stone). The warranty covers the frame for 5 years and 12 months parts and labour for the remainder although Nordic track will upgrade this to 2 years for free if the product is registered within 28 days of purchase. In summary then, the E9ZL is a lot of elliptical for your money. If space and budget are your primary consideration then there aren’t many, if any alternatives at this price that will give you so much specification. The compromise is that you need to be no more than average height to get the most from this cross trainer.